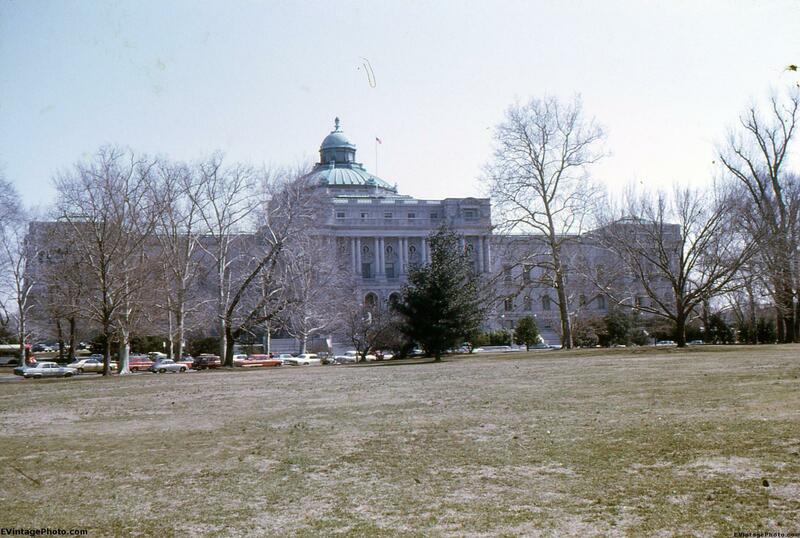 Today’s picture is a vintage photo of the United States Treasury Building from April 1969. It looks like it’s from an mid-Spring trip the photographer took to Washington D.C. While in line to get into the White House, he snapped this picture. In 1969, David M. Kennedy was Secretary of the Treasury. He worked over saw operations in the Treasury Building. For most people the operations inside this building are probably pretty boring. The Federal finances are managed here. Taxes, duties and other money paid to the United States are collected here, and all of the US’s bills are paid from this building. Workers here also manage the US’s currency from printing, storing, shipping and destruction. The building itself is an historic one. Several rooms have been restored to their former grandeur including the Burglar-Proof Vault, the Salmon P. Chase Suite where President Lincoln and Secretary of the Treasury Salmon P. Chase met during the Civil War, and the Cash Room that was used for President Grant’s Inaugural Reception and continues to be used to this day for meetings, receptions, press conferences and bill signing ceremonies. Have you ever toured this building? How was it? Posted in Washington D.C. -	Tagged 1969, Treasury Building, Washington D.C.